Over the years we’ve seen designer Organic by John Patrick channel everything from urban traipses through Manhattan’s East Village to 19th century British photographs. 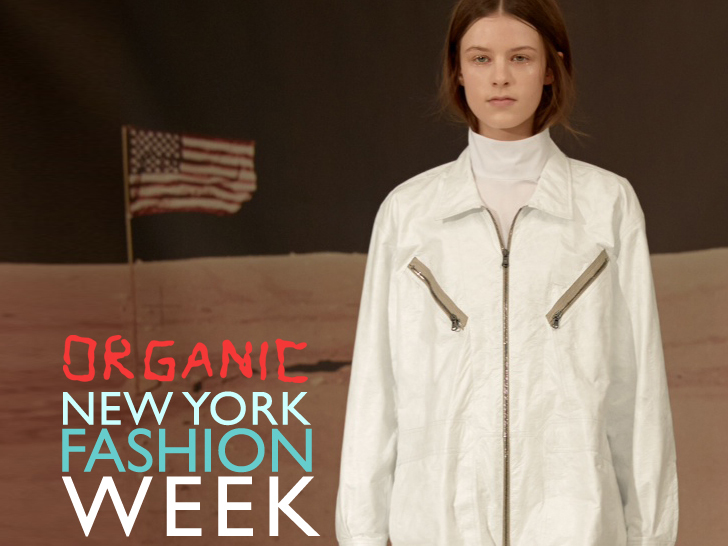 This New York Fashion Week, the designer chose to aim higher for inspiration, as in, the stars and NASA photographs from the Gemini and Apollo moon missions. Drawn from the collection of John Siebert, the photographs were the recent stars of Lempertz’s recent photography auction, and an astral plane Patrick chose to draw from. When looking at his Fall/Winter 2014, the designer sees his current collection as a way to transport and elevate the wearer, and get them to have a heightened consciousness. Patrick says, when it comes to the fashion industry, we need to be protected in many different ways from a number of factors- first and foremost from overdesign and overproduction of second rate product that is both unnecessary and wasteful. “We need to be protected from an environment that is is now continually ignored and under siege like thousands of gallons of coal-cleaning chemicals spilled into the Elk River several weeks ago. Erin Brokovich has now even adopted the situation…if we all work more closely and transparently with the earth and listen more carefully to the natural rhythms we can live in harmony, new communities abound with fresh new ideas and boundless new opportunities in the new landscape,” says Patrick. While this future may seem bleak to most fashion lovers, Patrick’s collection has a focus that seems willing to be the threads of a sustainable fashion warrior, imbued with an almost ethereal lightness and optimism. Enlisting a monochrome palette with models clad in high necked cotton mock shirts, cropped wool pants, metallic booties and loosely structured merino sweaters, each woman appeared as a modern astral traveler, ready to defy fashionable convention in the face of so much environmental insecurity. Mohair, recycled “zip-suits,” quilted shorts and tops, and dark denim pieces were equally eye-catching and worthy of note, but what brought most people in the room to gasp were the jackets made of recycled polyester and meant to similate luxe Polar and Arctic fur. If ever there were a collection Patrick can be proud of, this might just be the one. Over the years we've seen designer Organic by John Patrick channel everything from urban traipses through Manhattan's East Village to 19th century British photographs. 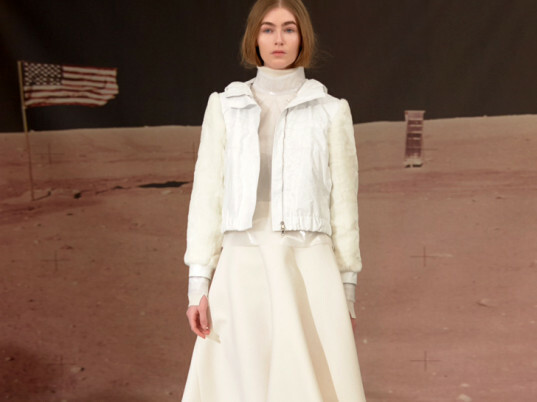 This New York Fashion Week, the designer chose to aim higher for inspiration, as in, the stars and NASA photographs from the Gemini and Apollo moon missions. Drawn from the collection of John Siebert, the photographs were the recent stars of Lempertz's recent photography auction, and an astral plane Patrick chose to draw from.